Clearly this is the new drama that Britain’s ITV has been banking on to replace the void left by Downton Abbey, and like the mega-hit it’s mostly an assembly of unknowns who can really make audiences believe in them. An average 7.7 million viewers tuned in each week to follow the progress of Victoria, a queen whose life we now know better than our own thanks to all the countless films and TV series. 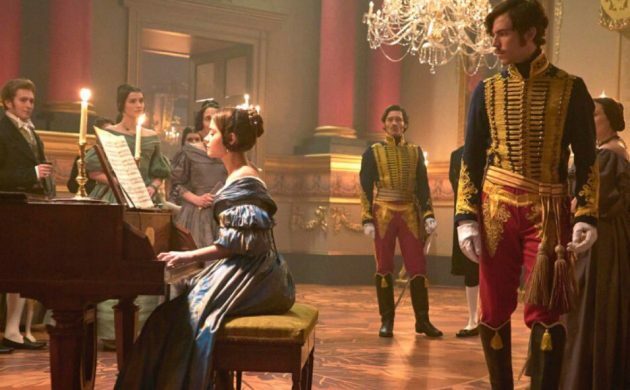 The eight-episode first season (a second is out in the autumn) begins with the young queen (Jenna Coleman from Doctor Who) acceding to the throne upon the death of her uncle and then mainly deals with her courtship by Prince Albert (Tom Hughes) and friendship with the PM, Lord Melbourne (Rufus Sewell). Apparently Coleman’s eyes are the wrong colour and frame-by-frame meticulous doctoring has been carried out to render them blue to ease the pain of the pedants.